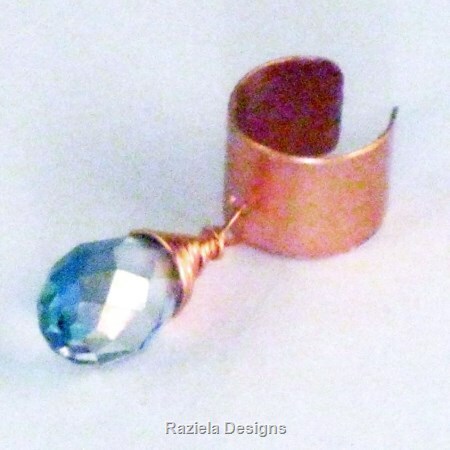 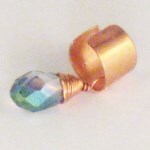 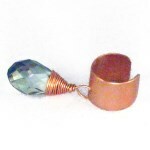 Unique copper ear cuff with a wire wrapped crystal dangle is sure to be an attention getter. 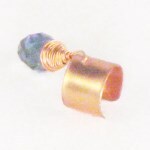 24 gauge copper has been hand cut, rolled, and polished to a high shine. 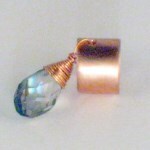 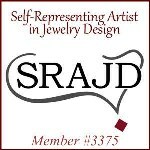 The lovely dangle is a 6x10mm Smoke colored A/B finish Swarovski crystal faceted briolette drop wrapped in 26 gauge copper wire. 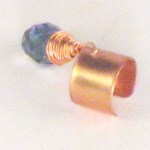 Copper is untreated and will take on a lovely patina over time. If this is unwanted, simply clean with lemon juice and coat in clear nail polish.